This is pretty gruesome, and you probably shouldn't watch if you can't stomach this. 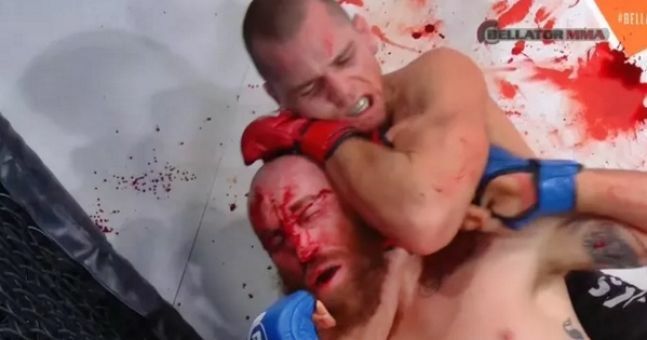 During last night's Bellator 147, MMA figther Adam Piccolotti was able to defeat Mario Soto. However, a lot of blood and nastiness was involved.